Personal and financial freedoms are two selling points that may have convinced you to become a small business owner. Each day you have the freedom to work as hard as you want to grow your company. You don’t have to answer to anyone but yourself about day-to-day decisions. However, with that freedom comes obligation to employees (and possibly family members) who look to you to provide them with financial security. 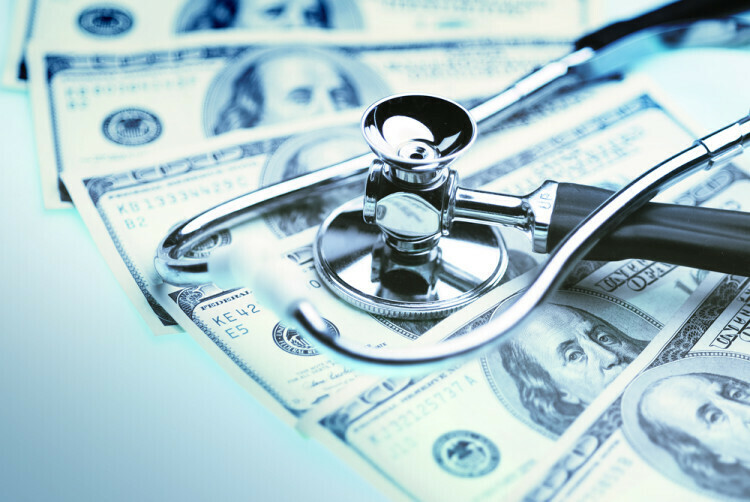 Healthcare finances are not typically the first set of business priorities you might think about, but they are extremely important for both your personal welfare and the wellbeing of your employees. Making sure you have health insurance coverage can provide your family a sense of security, and employer healthcare benefits can be the deciding factor that keeps top-notch talent on board with your company. Depending on the size of your business, carrying health insurance coverage for yourself or offering healthcare coverage to your employees is not voluntary, nor is it a cheap option long term. You could impose substantial financial penalties on yourself, and wind up losing excellent employee talent along the way if you don’t comply with regulations. If you personally forego having a health insurance policy for yourself or your family in 2015, you are subject to a fine of $325 per adult ($162.50 for each child) or 2% of your taxable, household income, whichever is greater. This averages to approximately $1,500 in penalties per family. In 2016, the penalty will increase to $695 per adult or 2.5% of your income. The fine is applied to your taxes, so you could owe Uncle Sam more than expected if you do not have health coverage. The open enrollment period for buying health insurance is currently closed and will reopen on November 1, 2015. However, if you move to a new ZIP code, get married or divorced, undergo a significant income change, have a baby, or leave your employer health plan to start your own company, you can apply for health insurance coverage within 60 days of these “qualifying life events” to avoid the penalty. If you have fewer than 50 full-time employees and directly pay for their health insurance benefits or reimburse their monthly premiums, you only have until June 30, 2015 to ensure their health insurance benefits are compliant with the Affordable Care Act, also referred to as the Employer Mandate. For businesses with more than 100 employees, there is a penalty—in most cases—for not offering coverage. Full-time employees are individuals who work 30 hours a week or more, or 130 hours during the calendar month. Businesses with 50 employees or more must provide coverage to 95% of its full-time employees. Companies with more than 100 employees need to provide health insurance to at least 70% of its full-time workforce in 2015 and 95% by 2016. Coverage for dependents is required for children up to age 26. Spouses are not considered dependents and employers are not required to provide health insurance coverage to spouses. Fees for not offering full-time employees health insurance coverage will vary by circumstance. On average, beginning in 2015, the penalty is $2,000 for each full-time employee minus the first 80 employees. Beginning in 2016 and going forward, employers can only exclude 30 full-time employees from the penalty calculation. As a small business owner you are able to provide wellness discounts and reward employees for healthier lifestyles that could save you up to 30% (50% for smoking cessation) on health insurance premiums. If you are looking to lower costs, transition employees to plans with higher deductibles. You can make the larger out-of-pocket costs easier to accept by contributing a fixed amount to a Health Savings Account (HSA) or add a voluntary plan that provides supplemental accident and critical illness protection. Especially enticing for low wage employees, these low cost supplemental plans offer deductible coverage protection. If an employee is injured in an accident or is diagnosed with a critical illness, voluntary plans can help cover the deductible and help an employee avoid any financial hardship due to medical bills. The U.S. government provides up to 50% in tax credits to small businesses that have fewer than 25 low-wage employees (making less than $50,000 in annual income), and are paying at least 50% of employee insurance premiums. Find out more by visiting the government exchange or working with a local licensed health benefits specialist or broker. Health insurance monthly premiums are 100% tax deductible for the self-employed. You can also deduct dental and long-term care premiums for yourself and your family. This deduction lowers your gross adjusted income, which can provide you added tax breaks. The deduction cannot exceed what you earned from your business during the year, however. Health savings accounts offer the self-employed another option to save money tax-free. With a qualifying high deductible health insurance plan, a business owner is able to open a health savings account and make pre-tax deposits to pay for medical expenses. In 2015, the contribution maximum is $3,350 for an individual and $6,650 for a family. You may have employees that refuse your company health insurance plan. If they go without health insurance coverage, they are subject to the same tax penalty rules listed above. You, however, will not be penalized if an employee rejects your group healthcare insurance package. The tax benefits for owning your own business are plentiful if you know where to look for them. The penalty for not following the rules can also hit your wallet, personally and professionally. It’s important to do the math and determine what can be the most cost effective approach when offering health insurance benefits, while providing financial protection for your family and your employees. Finally, although it is hard to determine with exact statistics, encouraging an environment of personal activity, social gatherings that lead your team to bond at fun events, and a culture that encourages employees to learn more about healthcare costs and money saving procedures can potentially bring people together. Making your business a great place to work will, over time, bend the cost curve by encouraging everyone to understand how important good health is to the bottom line—both yours and theirs. Jeff Smedsrud is Co-Founder and Chief Executive Officer of HealthCare.com, the leading search engine and comparison tool for healthcare insurance plans. In his 30 year career, Jeff has built and grown health insurance marketing and business companies, and served as a healthcare reform advocate. Previously, Jeff was Chief Marketing Strategy Officer and Senior Vice President of The IHC Group, a publicly traded insurance holding company. Today Jeff serves on many non-profit healthcare boards, including the Coalition of Affordable Health Coverage, and is a regular contributor to the HealthCare.com Blog.